Representatives of the Outlets at Silverthorne announced on Monday that a Williams Sonoma outlet store, the first in Colorado, will open at the outlet mall this fall. Williams Sonoma is joining the list of big-name brands housed in the Outlets at Silverthorne. Once open, it will be the company’s first outlet in Colorado and the only one for at least 700 miles. 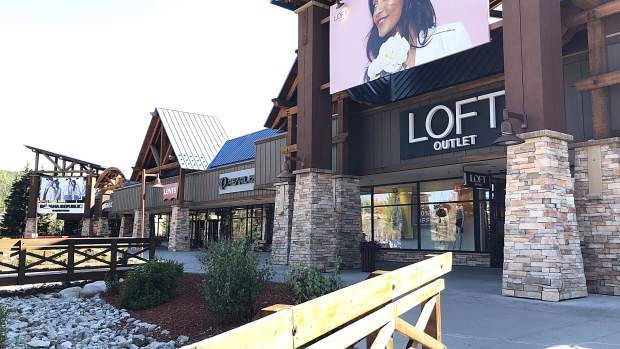 Representatives of the outlet mall announced the addition on Monday, adding that the Williams Sonoma outlet store is slated to open in late October, just in time for Summit County’s busy ski season and holiday shopping. The store will be 9,500 square feet inside the Outlets’ Red Village, between the Columbia Sportswear and the Zumiez outlets. There are currently a number of Williams Sonoma stores in Colorado; none are outlets. The company that manages the Outlets at Silverthorne currently has 45 tenants across three distinct shopping “villages,” with everything from a local art gallery and independent ski shop to outlets for nationally recognized brands like Nike, Under Armour, Levi’s and Calvin Klein, just to name a few. The bait to get them here will be steep discounts on Williams Sonoma’s unique selection of signature products for the kitchen and home, including gourmet cookware, cooks’ tools, cutlery, electrics, bakeware, food, tabletop and bar items, cookbooks, as well as furniture, lighting and decorative accessories. All of the merchandise sold at the Williams Sonoma outlet in Silverthorne will be deeply discounted, said Chelsea Hartnett, director of public relations for the Craig Realty Group, the management firm based in Newport Beach, California, that manages the Silverthorne outlets. Hartnett described the prices shoppers will find at the Williams Sonoma outlet as “true clearance,” much like the other stores in Silverthorne that offer daily savings of 30-70 percent off retail. Hartnett said that officials with the outlet mall are currently working with Williams Sonoma to plan a grand opening with cooking demos and more. “We are looking to do something that will be really fun and great for the community, but we will be releasing info as soon as its available — so stay tuned,” she said. Williams Sonoma is headquartered in San Francisco. The publicly traded company was founded in 1956 by Chuck Williams. It has since become one of the leading e-commerce retailers in the U.S. and offers a comprehensive gift registry program for weddings and other special events, available in-store and online. At WilliamsSonoma.com and on the Williams Sonoma blog, Taste, customers can find recipes, tips and techniques to help them create delicious meals. Williams Sonoma can also be found on Facebook, Instagram, Twitter, Pinterest, Google+ and YouTube. Beyond Williams Sonoma, Hartnett also hinted at some other upcoming “big announcements” for the Outlets at Silverthorne but declined to provide any details as to what those announcements might be. The Outlets currently has one large vacant building that used to house multiple stores on the property.